HollywoodCARES takes 1-2 trips to Haiti per year. We typically go during February and during the summer. We leave Fort Lauderdale on a Monday morning and return on Wednesday evening. When we go, we take clothes, toiletries, bookbags, etc. We always take two pair of shoes for each of the kids and the "house parents." We try to take a doctor when possible and give the kids a routine check up. We love to visit the kids at the Community Center and will usally eat with the entire group a couple times. 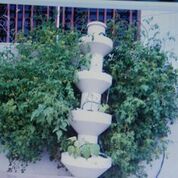 During the summer of 2012, teen volunteers came up with the idea to take supplies to set up solar vertical gardening at one of the houses in the hope that they would be able to grow some of their own fruits and vegetables. During the summer of 2016, another teen leader and his family took solar panels and set them up on the Community Center so that they would have electricity at all times. This complements a generator that we purchased in 2010 so now the Community Center is self-sufficient as far as electricity is concerned. 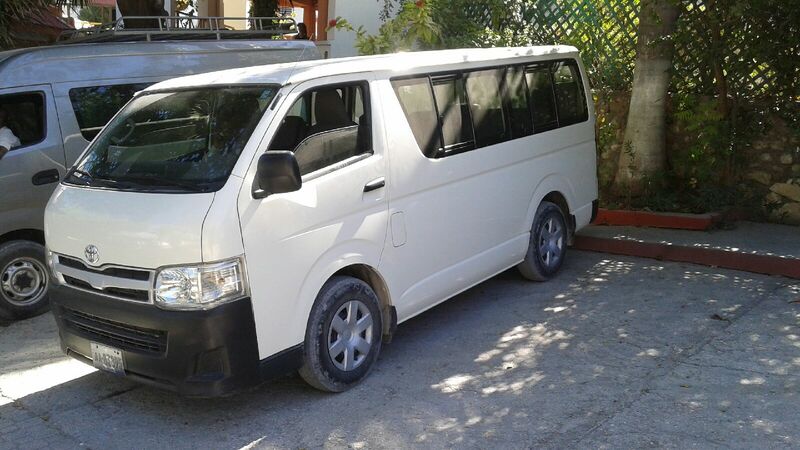 In 2013, we purchased a 12-passenger van for the kids so that Project Pappillon could move the kids around more efficiently. We always take as many suitcases as possible, and in February of 2018 we were able to take 20 full suitcases of supplies with us.